Caption slip reads: "Photographer: Wesselmann. Date: 1957-11-08. Reporter: Coart. Assignment: Indian woman knifes husband. 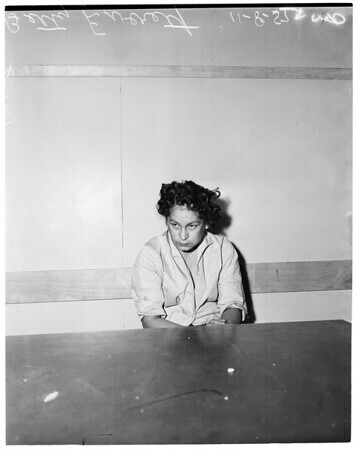 5/6: Betty Everett in jail at East L.A. Sheriff's Station charged with carving Indian sign on her Indian husband".